At long last, the July 2015 Etude House Pink Bird Box: Play 101 pencil swatches, post office weirdness & GIVEAWAY! So here's a funny story that's not actually that funny: Etude House sent me this box in July (as one might expect), but it never showed up at my doorstep. After a while I contacted them for the tracking number to see if I could hunt it down, but by the time I got it, it was already listed as "returned to sender" because they had tried to deliver it so long ago. (Except nobody ever tried to deliver it, or if they did, they didn't leave one of those little pink missed delivery slips that American postal customers enjoy so much.) Don't you love it when that happens? Anyway, I thought it was long gone, but when my boyfriend went to the post office to pick up a different package a couple of weeks later it was somehow magically there. I don't even know anymore. In any case my local post office is awesome, and I finally have the July Etude House Pink Bird Box to show you! Wondering what a Pink Bird Box is? It's a special bundle of new and classic products that K-beauty brand Etude House sends out to select bloggers and vloggers each month for review. 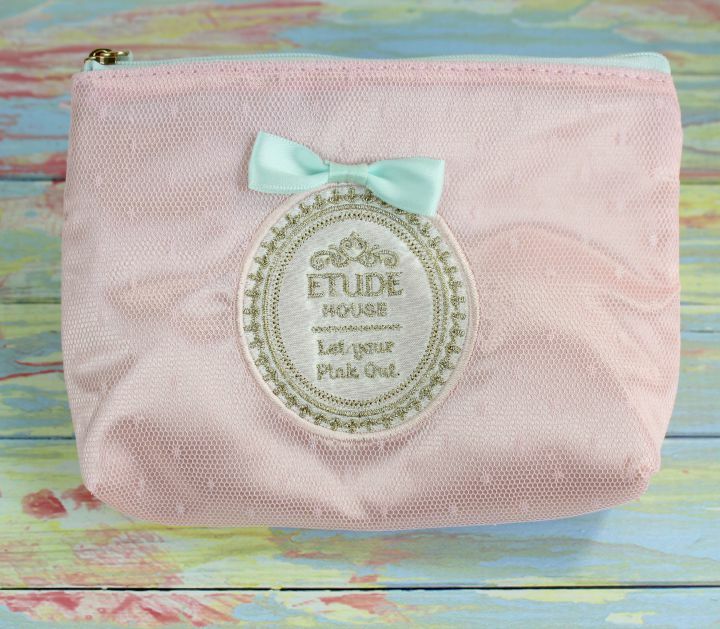 You can't buy or subscribe to this box, but of course you can pick up the items individually at an Etude House shop (of you have one nearby) or the Etude House global website. (eBay is also a good resource if you're looking for limited edition or hard-to-find items. Just sayin'.) Anyway, let's unbox! Play 101 Pencils are a "classic" Etude House product. 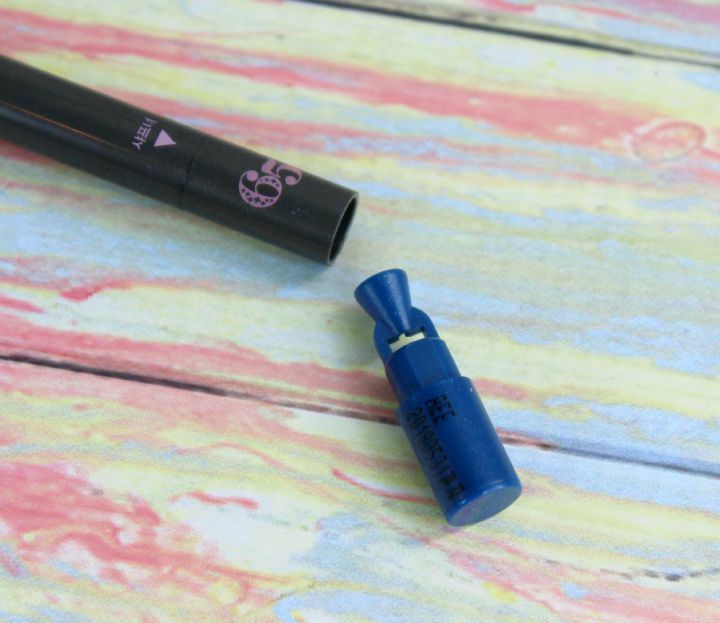 Basically, they're automatic eyeliner pencils that come in a ton of different colors and finishes. 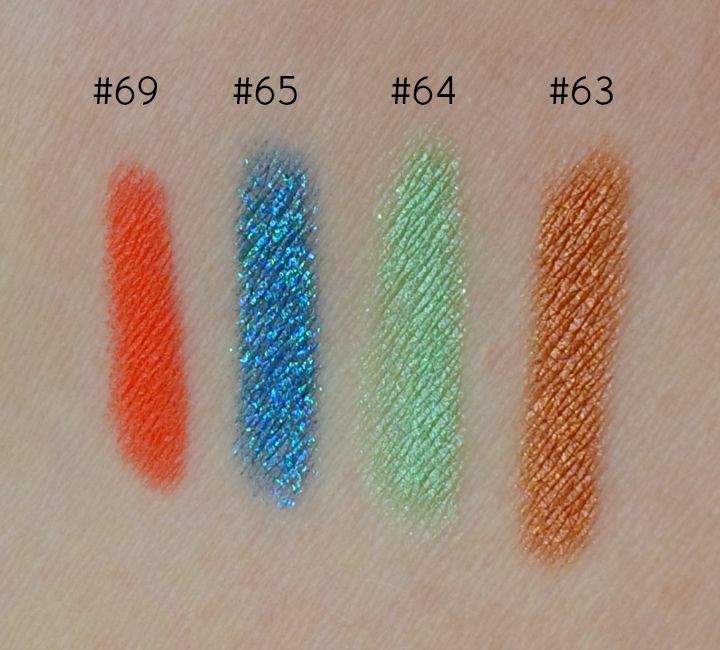 This summer Etude House added ten new, limited edition summer shades to the lineup—including the four I've swatched below! #64: A shimmery mint green. #65: Medium blue with super-bright blue sparkles. #69: A crazy-bright matte orange. 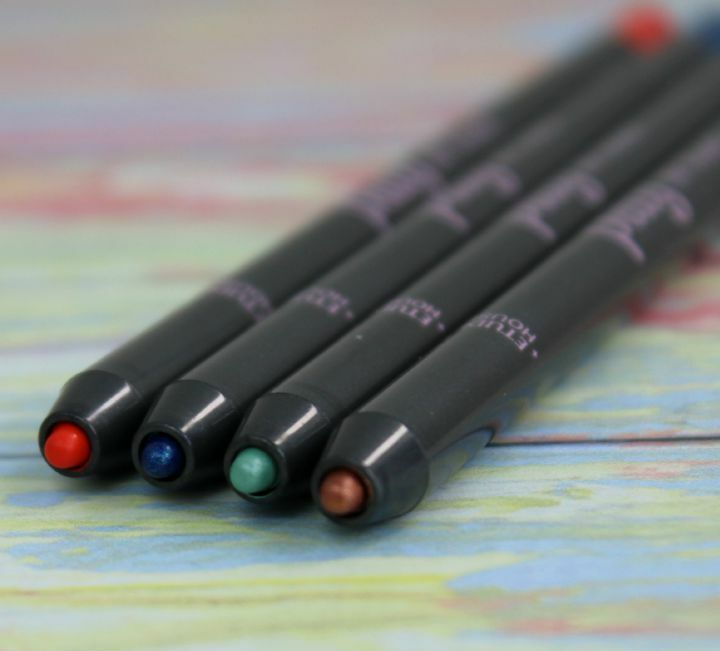 These are automatic/twist-up pencils so you don't need a full-on sharpener, but this helps keep a crisp, pointy tip. FYI These limited edition shades don't seem to be available on the Etude House global site, but they are on Etude House Korea. And you can always try your luck on eBay, of course. The rest of the box consisted of many, many skincare and haircare samples. Let's play! 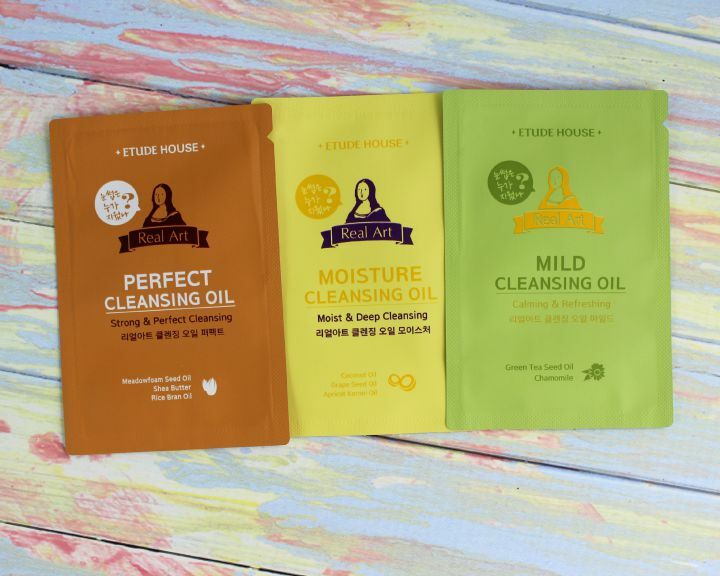 Real Art is Etude House's classic line of cleansing oils, but it looks like they've been rebranded (and reformulated?) slightly since the last time I tried them. There are three varieties: Perfect Cleansing Oil (with meadowfoam seed oil/shea butter/rice bran oil), Moisture Cleansing Oil (with coconut/grapeseed/apricot kernel oil), and Mild Cleansing Oil (with green tea seed and chamomile extract). Of the three I think I like the Moisture Cleansing Oil best—the three "featured" oils in that blend are actually ones I sometimes use it DIY oil concoctions! 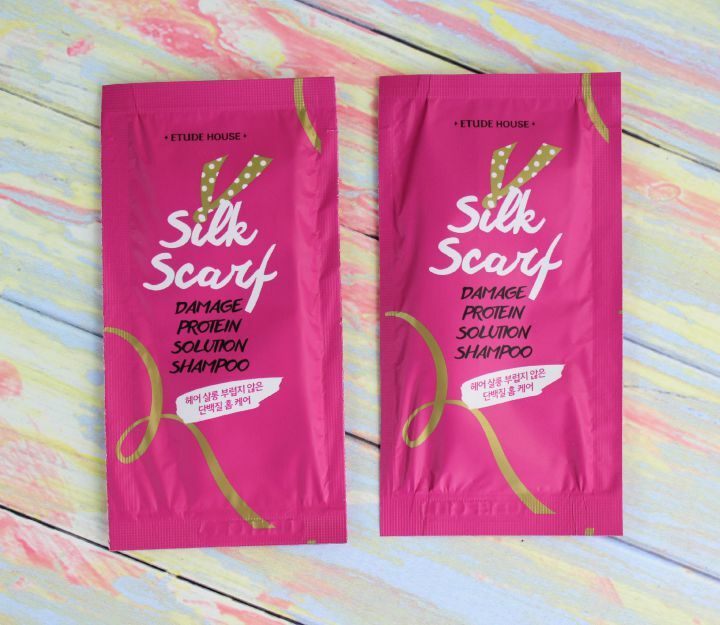 Silk Scarf Damage Protein Solution Shampoo is a shampoo for damaged hair containing Hydrolyzed Keratin, Hydrolyzed Silk, Hydrolyzed Wheat Protein, Hydrolyzed Soy Protein, Hydrolyzed Corn Protein, and a bunch of other proteins and amino acids. There isn't a matching conditioner to go with this, but instead a couple of intensive hair mask/ampoule treatments, including one of those cool-looking syringe-y types. I'll have to try it one of these days! 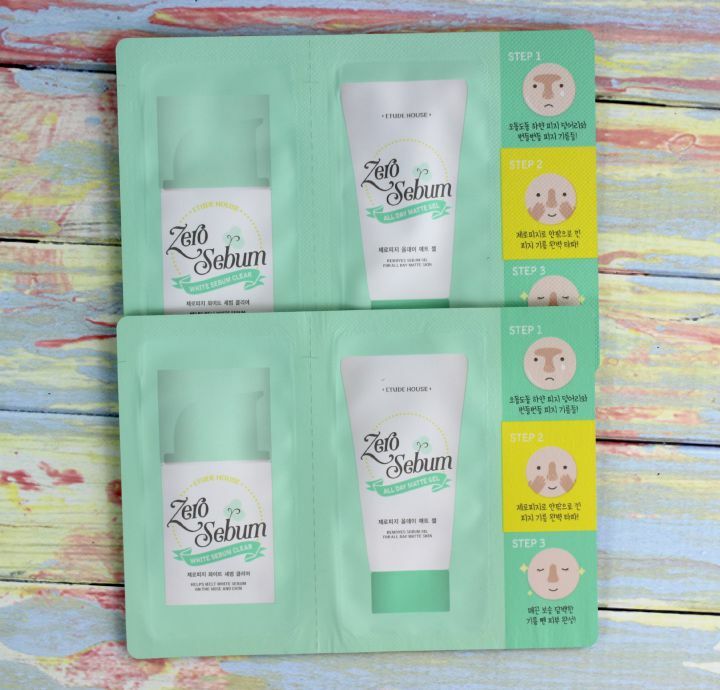 Samples of the Zero Sebum line! The Zero Sebum White Sebum Clear is meant to "melt away lumps of sebum." Um, whoa. I haven't had any "lumps" of sebum recently, so I have yet to test its efficacy. Zero Sebum All Day Matte Gel is sort of like a matte, silicone-free primer that's designed to keep your face from getting all oily throughout the day. Samples of Etude House's Pure Water Baboab Toner, Moisturizer (which is like an emulsion), and Moist Cream. This line is meant to revitalize and deeply moisturize skin... while it's hard for me to report much in the way of results from a packet sample, I can say that the texture was lighter than I expected. The cream is gel-like, but still very hydrating. 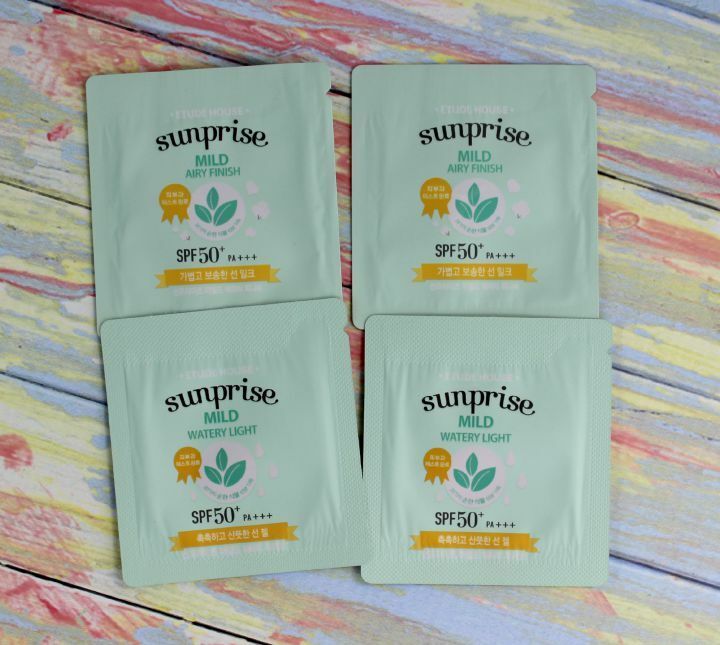 Samples of Sunprise Mild Watery Light and Mild Airy Finish. Considering that this box was supposed to arrive in July, I'd say they're very appropriate inclusions. SPF is a must for summer! So how are they different? Watery Light is more of a gel and Airy Finish is more of a milk, if that makes sense. 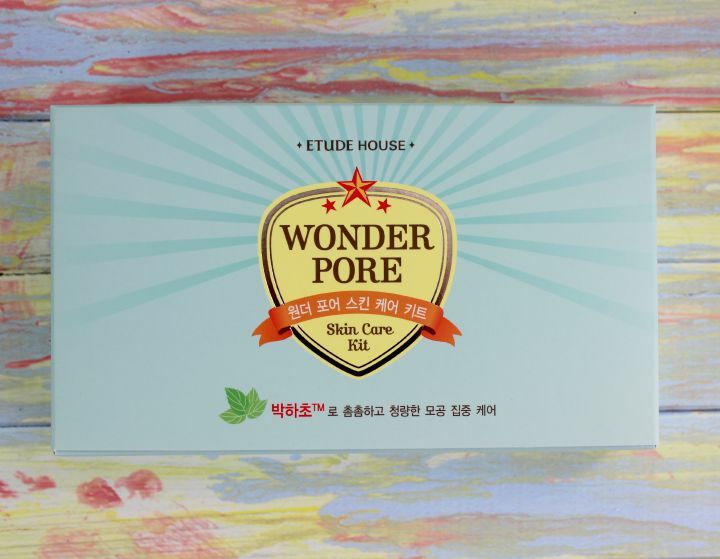 Last but certainly not least, a kit containing four deluxe samples from Etude House's extremely popular Wonder Pore skincare line. Wonder Pore isn't 100% right for my skin type as it's generally geared towards folks with enlarged pores (which I do not have), so rather than waste it on myself, I've decided to give it away to a reader! 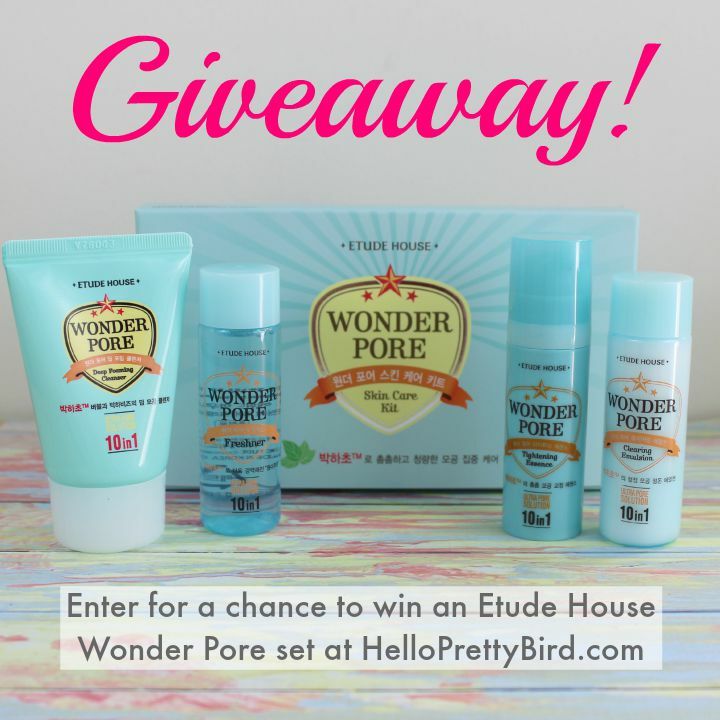 The prize is one Etude House Wonder Pore kit, containing deluxe samples of the cleanser, freshener, tightening essence and clearing emulsion! This prize has an approximate retail value of $5 and was provided by Etude House, woo-hoo! There will be one winner selected at random. The giveaway period closes at 11:59PM EST on September 11th, 2015. Good luck! :) Since I got this box so late, I already have the August Pink Bird box in hand—look for an unboxing sometime next week! What do you think of the July Pink Bird Box? 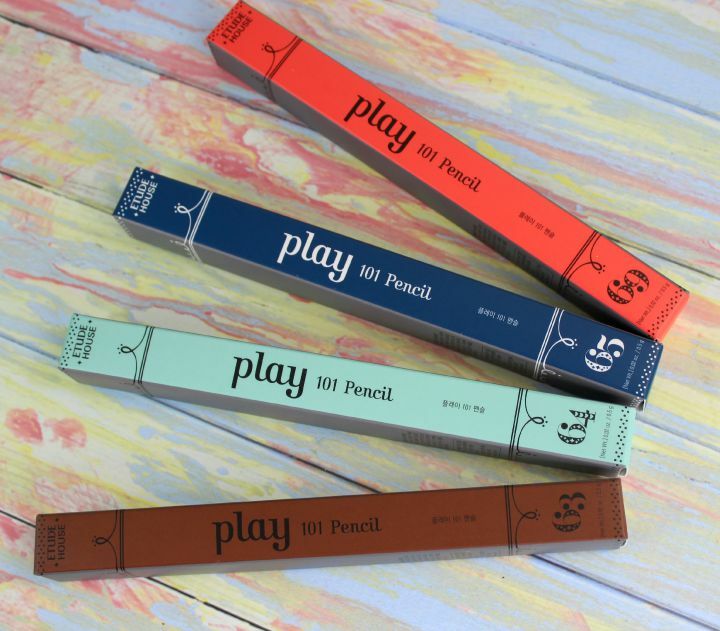 Which of these new Play 101 pencils would you reach for first? Let me know in the comments! Disclosure: The box featured in this post was provided to me for review purposes by Etude House, however any opinions expressed above are honest and my own. I did not receive any other form of compensation. Some or all of the links in this post are affiliate links, which means I will earn a commission if you make a purchase after clicking on them. For more information, check out my full disclosure policy.